Situated very near to Alicante, and right next to the Playa de San Juan, Bonalba Mutxamel course offers sensational views of the sea and a perfectclimate to enjoy a game at any time of year. The Don Cayo club was founded in 1974 by Don Luis Campomanes Asumendi as part of the “El Aramo” residential development project, situated in the foothills of the Sierra Bernia mountain range. Designed by Manuel Ferri Sanchez and opened in 1993, El Plantio Club has 36,000 trees and 3 lakes. Its design is varied and the greens and fairways are in excellent condition. Javea is situated 90 kilometres from Alicante on the way to Valencia, and sheltered from the wind by Cape San Antonio, the course has a perfect microclimate all the year round. Algorfa is located right in the heart of the Segura region situated amongst lush and fertile countryside being one of Vega Baja’s citrus farming villages. 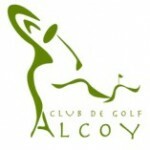 La Finca Algorfa Golf Club has the newest course in Alicante. The La Marquesa Golf Club can be reached by way of the CV-910 via Rojales or the CV-905 via Ciudad Quesada. It can also be accessed from the AP-7 motorway and is about 35 minutes drive from Alicante airport. 18 hole, par 72 course was designed by Jorge Gallén and Enric Soler who created an excellent challenge of golf by making the best of the hills, valleys, woodland, lakes and streams. This is an informative book which is also a bit of a coffee table book. The book grades the courses which is a subjective issue and, sure, I might have put a few courses in different catagories but I don’t find that this distracts. It is well layed out with useful reference sections both about Iberia and golf in general. 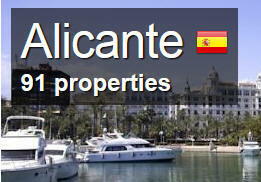 Shows the list of 30 Hotels in the Alicante area. Golf Course Guide for Spain For your next golfing holiday.